Protecting yourself and knowing that when you are struggling, there are organisations and people in school who can support you are important life skills. Access 27 performed a strong piece of drama that raised a number of issues that affect young people in today’s society. 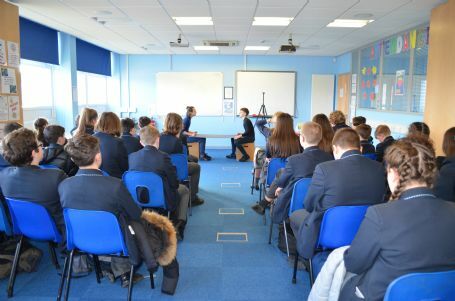 They then supported their presentation with a short workshop; with our students feeling able to raise any concerns or discuss what to do in different situations. Our thanks go to Hannah and Lydia for their hard work and meaningful drama performances as well as SWACA for allowing one of their staff to attend the event.